O HOSAS control for "Star Wars", o grip é ambidestro. VPC are proud to launch our new range of space-sim focused devices, dubbed the VPC Constellation Series. 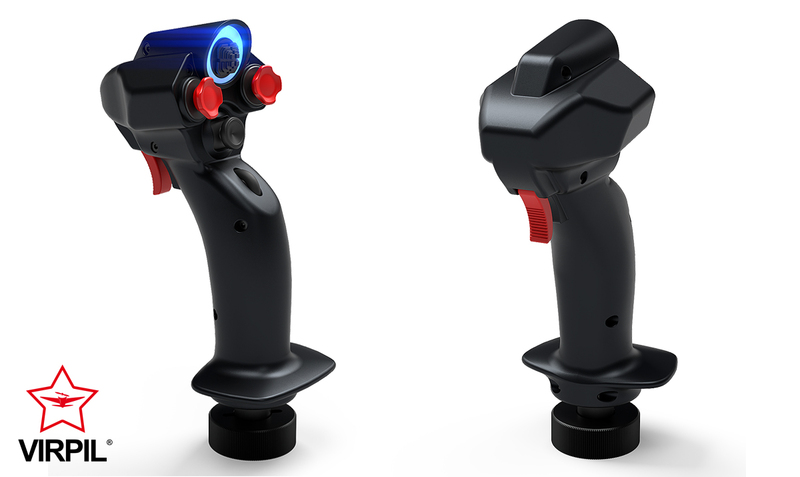 These devices are aimed specifically at satisfying the needs of even the most demanding space-sim pilots! Combined with the VPC Configurator, shift states and modes can be configured to increase the total button count. The LED lighting can change to reflect the selected mode. 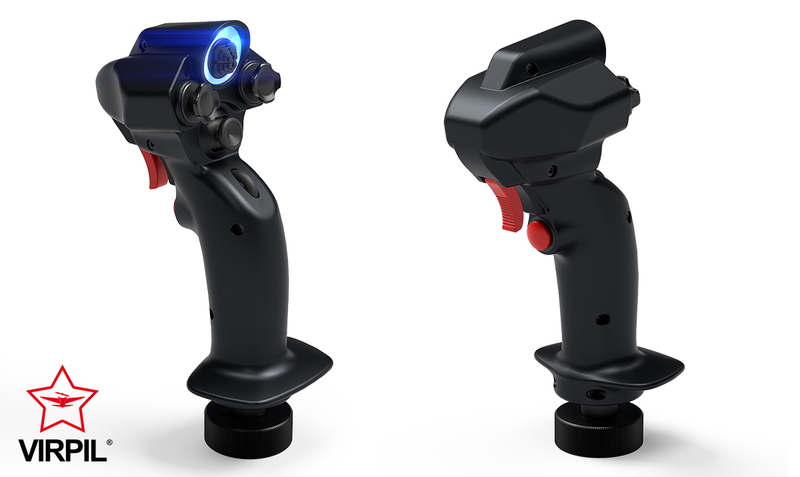 The VPC Constellation Delta is perfect for a dual stick setup, combined with a left or right hand VPC MongoosT-50 Grip or even as a standalone stick with throttle. VPC will continue to expand the Constellation Series with more devices in the near future - as always, we’re interested to hear what the community wants to see! The VPC Constellation Delta is scheduled for release in Q1 2018 with pricing information to follow shortly. BTW - A ergonomia deste grip lembra a dos grip de helicópteros modernos. Rev. 2 do Delta ganhou um segundo botão abaixo do gatilho, como existe em certos grips de helicopteros.